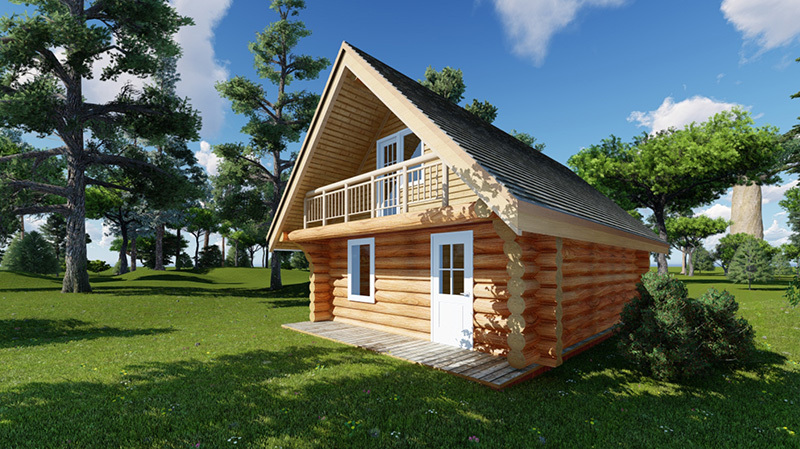 The Athabasca is a great four season cabin and at 1,040 square feet it is big enough for entertaining or large family gatherings. It fits nicely on most lake lots wit its compact 24 x 38 footprint including the deck. Add a veranda along the side and a deck off of the loft and you have ample covered space for entertaining if it is raining or perhaps you need some shade. One of my favorite versions of the cabin was it’s namesake. We built this for the Shandro family on the back of 160 acres along the Athabasca river. This was many years ago and the first time my oldest son Cory worked with me out on site. Moe made this first a memorable experience for Cory and to this day we still have an occasional visit. Download THE ATHABASCA Brochure in PDF format.